Etrian Odyssey X will be very frontloaded at sales but has been restocked at most places since yesterday, Octopath Traveler is the only game that insists to be out of stock. Surely by obon they can at least come close to matching demand. Big missed oppurtunty otherwise. As of June, market was actually slightly up: +3.09% (56.9 billion Yen). July alone tanked sales hard. Will be hard for August to compensate for July, so market will most likely still be down Year on Year as of the end of August. I'd imagine with the SW lineup being so backended this year things will change quickly come the holidays. Pokemon, smash and YW4 are going to move a metric ton of SW this year. For sure last year in the final quarter we just had Pokemon US / UM & Super Mario Odyssey as releases that broke 1M, outside of that no game broke 500K. Unless I missed some release there were only 8 games released during the final quarter that sold more than 150K. Third parties were totally absent on the Switch and YWB2 was the only major third party game on the 3DS. Overall last year didn't have too many major releases during the final quarter of the year. Luigi's Mansion is theoretically a big game this year and likely a holiday release but with the rate 3DS software sales collapse it could end another 100-200k seller. LM2 went on to sell well over 1m units, so LM should've been able to get ~500k... if it wasn't releasing so late. Right now, I'm not sure what the sales potential is... at least it should be benefit from the holiday season. NOE seems to have reversed their stance on Capcom btw. Turns out they distributed the Street Fighter Collection for them and are doing MHGU too. Nintendo distribution is a definite perk in Europe. It’s not really about needing it or not. They’ve also done distrubition on lots of western games btw (Skyrim, FIFA, Minecraft, Doom, Wolfenstein, Mario+Rabbids, Just Dance, Rayman Legends, South Park, Rocket League, Overcooked, Payday 2, Runbow, LEGO, Crash, etc, etc). Publishers like EA or Ubisoft certainly don’t “need” it either. Could you clarify for me where you're finding that SF30TH is being distributed by Nintendo of Europe? I decided to check against your list, and games like Dragon Quest Builders, Octopath Traveler, Skyrim and Doom are definitely imported by Nintendo of Europe. I'm finding inconsistencies, so I was just wondering where you found who distributes what? *If older titles have missed weeks in the Top 30 and are updated, their weekly changes are accumulated from their last appearance. Famitsu Digital Estimates are included up through May 2018. It has been a hot second since I updated this, so disregard the Total Added and Weekly Change numbers, but they do give an interesting snapshot into what has changed since the end of May. - This is from the developer of 10 Second Run Returns and I assume an eShop title. - This is a very long running niche series from Koe Tecmo. - This is an "after-story fan disc". - It's a game about cat girl maids. Presumably the other two games in the series will also show up at some point. - This was presumably done for the global markets after the exclusivity deal ran out. - It's a romance visual novel. - This is a digital game, and an enhanced port of a dungeon RPG that was released on Steam back in November 2017. - This is one of Square Enix's newest stabs at mobile. It looks a lot like what you might associate with a 3DS tier RPG stylistically with enhanced graphics. It's a little early to judge the potential of this one, but it's definitely aiming to be at least a moderate success, since they're certainly spending more money on this than a lot of the cheapy games they had that failed recently. - The creator of Monster Strike (the most successful mobile game in Japanese history), and one time notable Capcom employee Yoshiki Okamoto is releasing a new mobile game, this time with a new studio and publisher. I would definitely, most assuredly not suggest expecting anything even remotely like Monster Strike's success out of this, especially given that I've never even heard of this publisher before. That said, Quiz RPG itself used to be very popular in Japan, so there's probably a potential audience for a high end game ni that market. That said, I wouldn't expect this to be that game. - This is from the company mostly known for Law of Creation, IIRC. This is probably pretty small potatoes stuff. - This is the newest game from the people who made the moderately successful games The Alchemist Code and Phantom of the Kill. The setting is steampunk, but instead of Victorian London, it seems to be set in Meiji Restoration Japan. - This is the newest entry in the Ikemen series. There's kind of a gold rush on making high production value rhythm game starring pretty men since everyone sees the giant pile of cash available here. Cybird is a real company and has had a fair amount of success with this type of game before. - This is probably not news to a lot of people in here, but I didn't realize there was a publisher named Flyhigh Works specializing in bringing small Japanese indie games to Switch. - There seemed to be a variety of smaller to moderate mobile unveils this week from mid-sized success companies. There was also a game from Square Enix that I can't quite fully wrap my head around yet in terms of success potential, outside of it being higher effort than a lot of their recent smaller stuff. - Most of the rest of week was ports, visual novels, and niche stuff. Not shocking for how early we are in the process, mind. - Side Note: There were no new games fully announced at EVO, though we will be getting at least one new (well, probably an iterative release) Arc System Works Guilty Gear game soon. No Japanese shipments for last quarter but next report will have a 6 months update. Memories Off: Innocent Fille will have Switch version. 5pb updated the website. Additionally, they are two separate games. 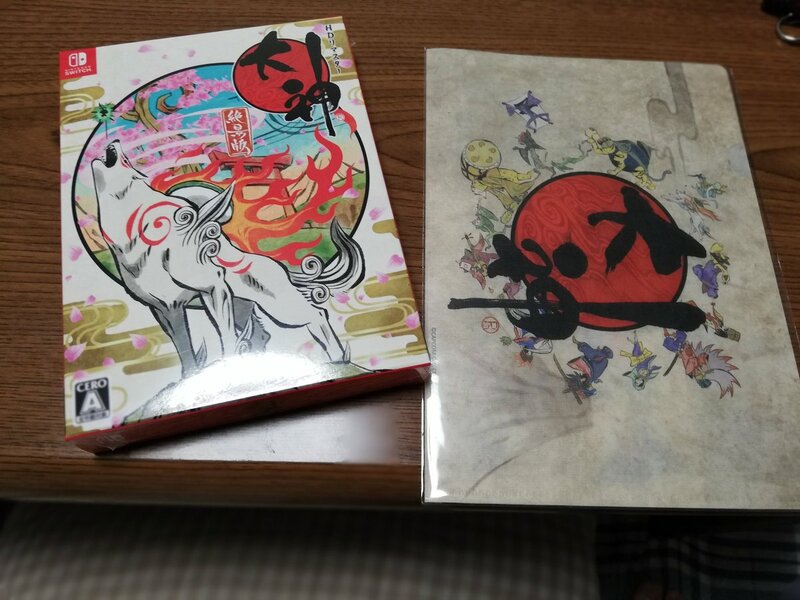 One is Memories Off: Innocent Fille which will be released in October, another is the fan disc of the game. The latter does not have a proper name yet. any reason why SM64 was so expensive? Definitely makes a lot of sense to have your game virtually sold out ahead of a holiday week. Well done SE! Dem N64 cartridges. N64 games were usually expensive as hell all around the world. Especially compared to PS1 games. Gonna take some time for Odyssey to match Mario 64 in revenue lol. This is probably not news to a lot of people in here, but I didn't realize there was a publisher named Flyhigh Works specializing in bringing small Japanese indie games to Switch. As far as I know, people are always thinking Circle is Flyhigh Works, Flyhigh Works is Circle. We are okay with that as it is very clear that we want to make the developers happy. We want to use our record to create a successful reputation in Japan but we don’t want to use two labels in one region. That’s why we keep Flyhigh Works in Japan and most of the Western countries are by Circle. Yeah, I may be wrong on this. I was looking at Nintendo’s UK online store (not eShop) which only carries Nintendo published or distributed games for 3DS, DS, Wii U and Wii so I assumed it was consistent for Switch but perhaps they opened that up. Their US online store only carries Nintendo publushed or distributed games across all platforms as well (Switch included, USF2 being the only 3rd party game which NOA did distribute for Capcom). The contintental European stores definitely carry other 3rd party software but they’re also branded differently (MyNintendo Store) like Japan. I was going off of the back cover of physical games that say who the importer is. Ore wa KH3 no koka hatsudo! Monsuta de wa nai! Kami da! oh. why was OoT cheaper in comparison? Just priced lower? Ocarina of Time came out 2,5 years later. Super Mario 64 was only 8 MB comparing to the 32 of Ocarina of Time but the initial wave of 1996 releases were all priced at 9.800 yen. Prices started dropping from 1997. Why is s hard for Square-Enix keep up with the demand? Also, why no one at Japanese media is questioning them about it? Cartridges take a while to make and small batch cartridges are t going to get manufacturing priority. They also really don’t want to make overstock and burn a ton of money. The way games media works in Japan involves such things as “Mail in all the questions and answers from your interview to the publisher for approval and corporate editing”, so there’s not going to be a Japanese media question that ever asks anything beyond the softest of soft questions. There also aren’t very many publications comparatively, so the handful that exist all follow these rules to avoid getting blackballed. 4 games for the last 5 months of the year. Despite being almost dead it has the only confirmed undated 2018 Nintendo game that hints a direct coming soon. Its been over a month since the game was released. They’re ordering and shipping small batches out every so often. They’re not sure what the actual demand is among those who won’t go digital, so they do conservative orders each time, which each take a while. Small shipments is the result of completely miscalculating demand, not being conservative. Since they had no back up plan now they get emergency prints and possibly missed sales of Obon. This definitely seems more of an issue with not having at all done proper forecast on demand, and now being stuck with low-priority/volume emergency cart allocations. Being in queue with proper forecasting will get you what you need AND backups, but being completely out of the loop on the demand leads to you being in this position. Basically really bad forecasting and understanding of the demand for the game, so a total misread of the market. Square Enix was expecting the game to sell 0 units after first week. They thought additional shipments weren’t needed. And here we are. The game could have crossed the 200k mark by now. This is one of the most bizarre situations Ive ever seen in the recent years. in their defense, they didn't have any reason to think it was going to be any other way. 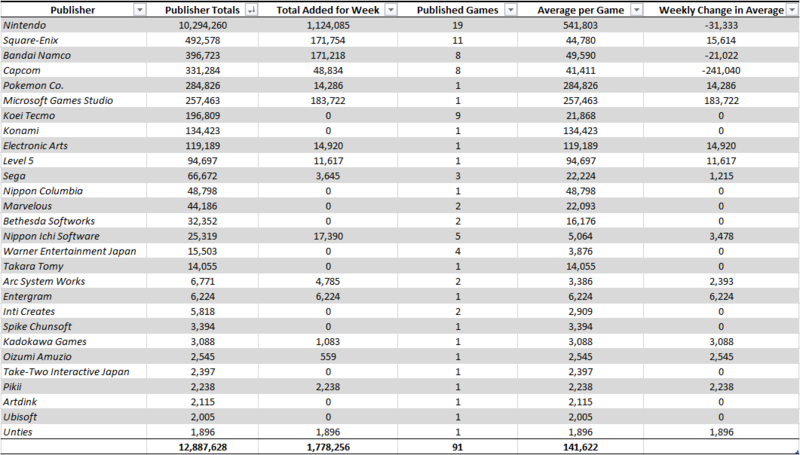 RPGs sales normally do drop from a cliff after 1st week. If you add that it was a new IP, that it wasn't as edgy or AAA-looking as a Final Fantasy and on new, kinda unproven hardware, then it's no surprise we're here. I get the feeling they don't mind that much, it's like they went into the whole thing thinking "I want my 100k and be done, that's all"
Maybe i'm completely misremembering, but I thought SE days after launch put out a message saying a big restock was coming in August? There were signs early on that the interest was high. They simply misread the market for an old-nostalgia driven jRPG. Even if SE didnt prepare themselves at the begining... its been a freaking whole month since the game was released and the situation havent improved at all. What are they doing there? Sitting and watching all these lost sales? 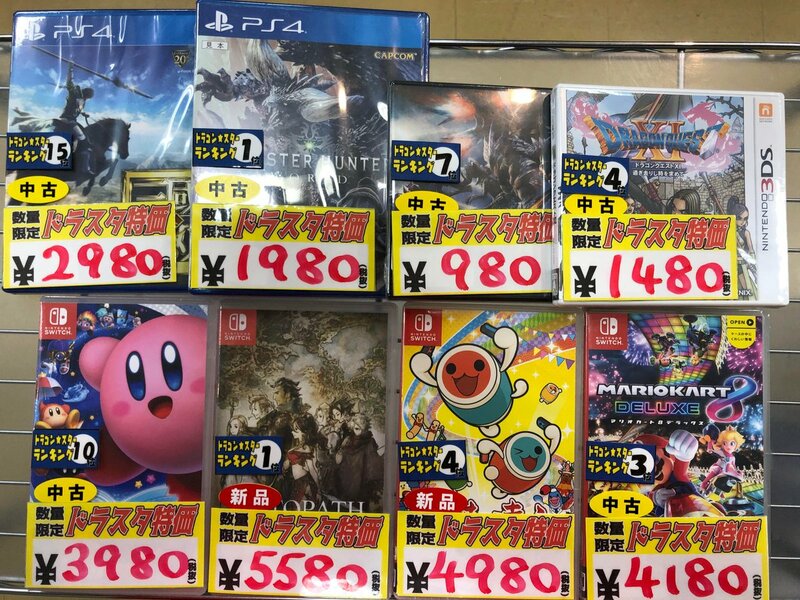 When Splatoon was driving Wii U sales in Japan Nintendo took programmed shipments from next months trying to satisfy the demand there was at the moment. Since Wii U production was already low and it would be extremely costly and risky to increase it the system suffered from long shortage afterwards. It's not very different with what has happened with Octopath Traveler. ok so what are everyone's bets this will turn into an evergreen*? Why? cause games like Zelda and Mario Odyssey have had absolutely no business staying in the top 20 for a year (or half of it), and yet there they are. I see no reason why Octopath should behave differently. given it's a single player rpg with no extended play value (DLC, multiplayer), once this hits the used shops, it's all over.